Congratulations on your acceptance to UCA! You will soon be on campus for your registration visit, during which you will get everything in order for your first semester as a UCA Bear! Below are several important things you’ll need to do so that you are prepared for the registration visit, so please read this carefully. What to do first: REGISTER for CLASSES! Once admitted, you will need to schedule a registration appointment. 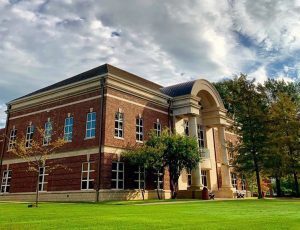 UCA provides three different options for you: An in-depth overnight Summer Orientation and Registration experience (SOAR); a half-day event specifically designed for students living in one of our Residential colleges; and a half-day orientation and registration appointment in the Advising Center. If you are interested in SOAR, please click here. If you are interested in the Residential College experience, please click here. If you would like the shorter, half-day experience, click here. 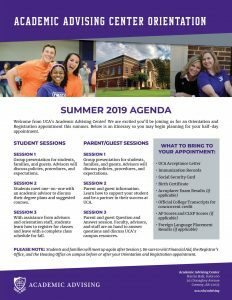 Please click here to download a copy of the Summer 2019 Orientation and Registration Agenda.